What can we expect from the US economy in 2014? Summary: 2013 ended with economists predicting accelerating economic growth in 2014, as they have every years since 2010 (wrongly). Let’s examine the stories, so you can prepare your family and business for the range of likely outcomes. Hope for 3.5% growth, or more! Bigger hope: what if we get 4%? White hot hope: we will get 4%, then again! (1) Hope for 3.5% growth, or more! … there has been a litany of weather-related bad news — U.S. industrial production has decreased, mortgage applications have fallen, housing data disappointed, and even restaurants are struggling. The full extent of the weakness may have surprised many, but investors often underestimate the ripple effects of a supply chain interruption. This environment is evocative of Japan’s 2011 earthquake and tsunami, which threw the global supply chain into such disarray that it caused an 11% decline in U.S. auto sales in the middle of that year. … The good news is that this is likely only transient noise, and that rising temperatures in March and April should revive everything from auto sales to factory activity, helping the U.S. economy return to its improving trend. Pent-up consumer demand should re-accelerate growth in the spring after this short, sharp pain, setting the United States on course for solid growth in 2014 of 3.5% or more. (2) Bigger hope: what if we get 4%? What if the economy grows at 4% and this is 1994? If the economy is growing at 4% or more – which is not what we are looking for but we also can’t rule it out – then we would be concerned that the market will pull forward its pricing of the first rate hike to the second half of 2014 instead of 2015. In terms of the probability of such upside scenario, note that with the revisions non-farm payrolls for November, before the weather began to impact the data, is now an impressive +274K. (3) White hot hope: we will get 4% in 2014 and again in 2015! Snow paralyzed the Eastern U.S. last week, but it won’t put a chill on what could be the hottest economy since the late 1990s. That’s the contrarian outlook of Applied Global Macro Research, an unusually rigorous and prescient group that expects 4% growth in economic output this year and next. The firm’s three economists … cite the ongoing housing recovery for their bullish outlook, arguing that future demand for housing is understated. … The key difference, from their standpoint, lies in their long-term analysis of the dynamics of the housing cycle, plus the important positive effects of a rising housing sector on consumer spending. Just as the bursting bubble in housing helped trigger the Great Recession, the prolonged sickness in this sector, which has persisted well past the recession’s end, is now poised to give way to an acceleration in the recovery that has been under way for the past few years. Pent-up demand for housing should therefore boost this sector’s contribution to economic growth. The contribution will come directly, via the increase in residential investment, and indirectly, through channels that include the greater purchase of consumer items for the home and a general increase in consumer spending from rising housing wealth. To these powerful ingredients, add a few others: the feedback effect on consumer spending from rising labor income; the diminished “fiscal drag” from higher taxes and spending cuts; and the likelihood that investment in equipment, another key component of gross domestic product, will heat up in response to strength in these other sectors. The optimistic economists see US growth in 2014 driven by exports, construction (especially housing), capex, consumer durables, and jobs. The consensus of economists is usually right (but they don’t and can’t predict shocks), but I believe ALL of these are problematic. I expect another year of roughly 2% growth in GDP; and believe 4% is less likely than a recession. Why no good growth? Several reasons. But first, what is good growth? The Fed’s estimate of long-term average US growth is 2.2% – 2.4% (and falling; in April 2011 it was 2.5% – 2.8%). (a) Exports: Japan & EU are growing only slowly. Roughly 20% of US exports go to EM’s, some of whom are having problems. China might slow — a lot — if its government decides to take bold action on their credit problems. (b) Capital expenditures: This is usually a laggard, as corporations respond to rising sales with more investment. There was a small pickup of capex in 2013. But I doubt much happens until the economy accelerates. The exception is energy (aprox 30% of US capex), which depends on continued expansion of fracking). Private business construction has remained stagnant, but a recovery has long been expected. See (b) above. Some types, especially office and retail space, might be in long-term declines due to technology. Public construction is stagnant. No sign that this will change soon. Residential is the great hope. It’s risen on institutional buying and government lending to subprime buyers. There are indications that the Fed has blown another bubble, which the combination of rising interest rates and higher prices has burst. Recent data suggests that housing might have begun to stall. For more about this see Has the Fed blown another housing bubble? ; also “Housing Bubble II: What’s Ruining Home Sales?” by Wolf Ricter. (d) Consumer durables, especially vehicle sales (a big winner in 2013). Auto sales have risen on inventory build plus subprime credit (both falling credit scores, long duration, absurdly high loan-value). The optimists’ story for 2014 is more growth driven by job and wage growth. The dark alternative is that peoples’ income continues to grow only slowly, and the subprime loan growth slows (or ends). (e) When the economy accelerates, job growth will follow. When job growth strengthens, employers will have to increase wages. It’s not a driver. Also: there are many wild cards in the deck. Bursting of the China credit bubble. Failure or success of Abenomics. Relapse or recovery in Europe. 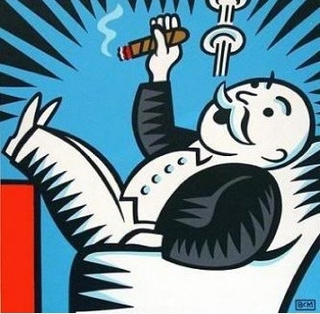 Failure of the great monetary experiments running throughout the developed world. The optimists expect the good times to return, the long expansion from 1975 to 2007. That’s not likely. That great expansion resulted from the boomers entry into and maturing in the labor force plus a massive expansion of debt — public, corporate, and household. Now both of those factors have flipped into reverse, and probably will remain there for a decade or more. Most of the boomers will retire with less pension income and less net savings (more debt, less assets) than their parents. They’ll work to an older age, but suffer a severe income drop upon retirement. Plus the boomers love affair with real estate has already begun the long downsizing, from 3 decades of buying to selling. From large house to small house or condo, to assisted living complex, to nursing home or hospice, to the ultimate downsizing in the grave. The high college debt and slow income growth of their children and grandchildren will not allow them to take up the slack (in January’s existing home sales, only 26% were first time homebuyers: lowest since records started in October 2008, below the pre-crash average of 40%). It’s a new era, with very different dynamics than the post-WW2 era now gone. Many economists do not see this. Ahead of us lies a new world, shaped by the rise of the emerging nations and the 3rd industrial revolution — both trends already in motion. We can have a wonderful future. Getting there will take work and wisdom. 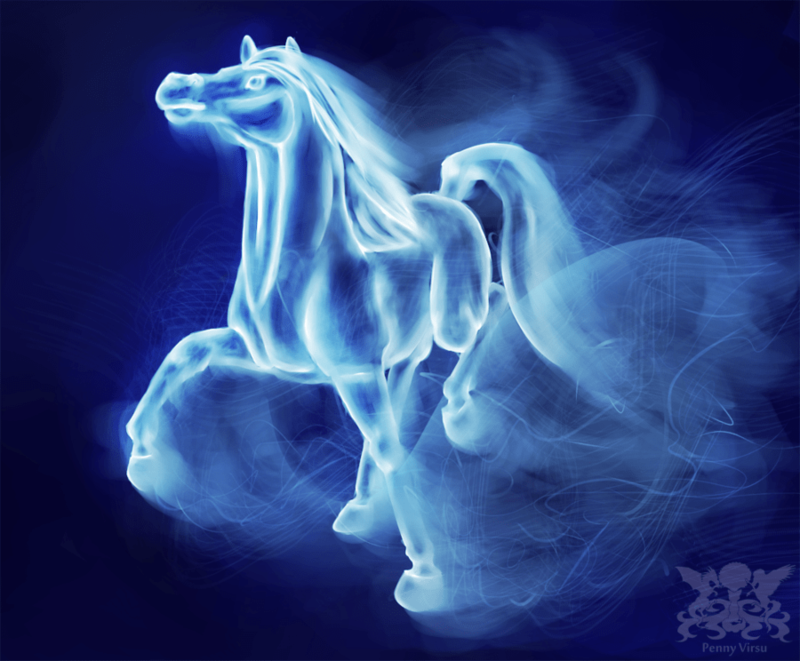 The artwork Patronus is by Penny-Dragon at deviantART. See her work there. 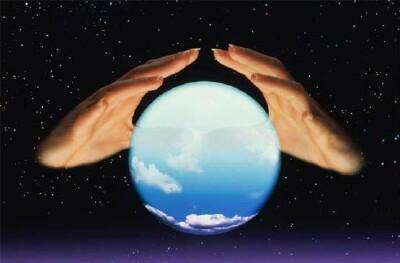 Next Post The new tech bubble takes us to a new world. A mad world. First it requiers removal of false ideology form economics and politics. To do that it takes a lot of work. vi) government can go broke and doesn’t have money. Those and other false ideologies is what is preventing resolution of the world crisis, in USA and in EU. It is a new era with different social and political dynamics which are overwhelmingly more important then resource and economic dynamics that can easily be overcome by social contract. Productivity from automatization can easily solve problems of different dynamics at the present time but only with return of post WWII social contracts and economic understanding that those contracts were based on. Unless moralizing from high wealthy trone stops, we will not return to the post-WWII social and economic understanding of the world around us. But it looks like that to grasp the potential that a country can have is requiering the type of emergency on the scale of WWII in order to motivate such war-economy toward a goal that is needed now. Almost nobody at the top have such sense of emergency as rest of the world does. It has been 50 years since technology could have solved the world hunger if only that was the goal of TPTB not only of Miss Universe contestants.